The project 309 GTI has been trailered home and is now in the garage awaiting a total strip down before all the welding and bodywork is started .It didn't need too much ripping out as the engine,box,driveshafts,interior are already gone when i got it .Its rolling on front suspension with bolts missing and 205 base model rear beam . 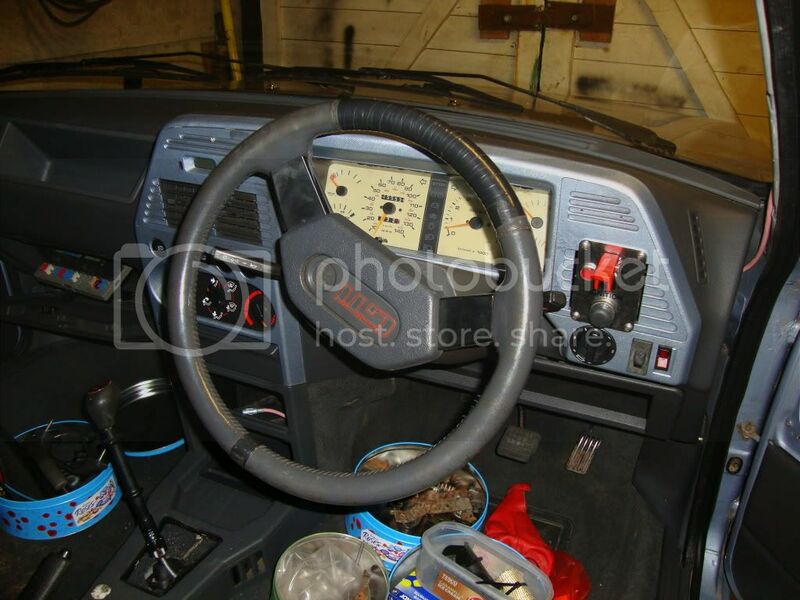 This is the car as delivered , a nice selection of go faster goodies , Lockwood clocks , slimline side indicators , Gutmann grille , colour coded dash etc . Not too many 309's about with a tow bar fitted . 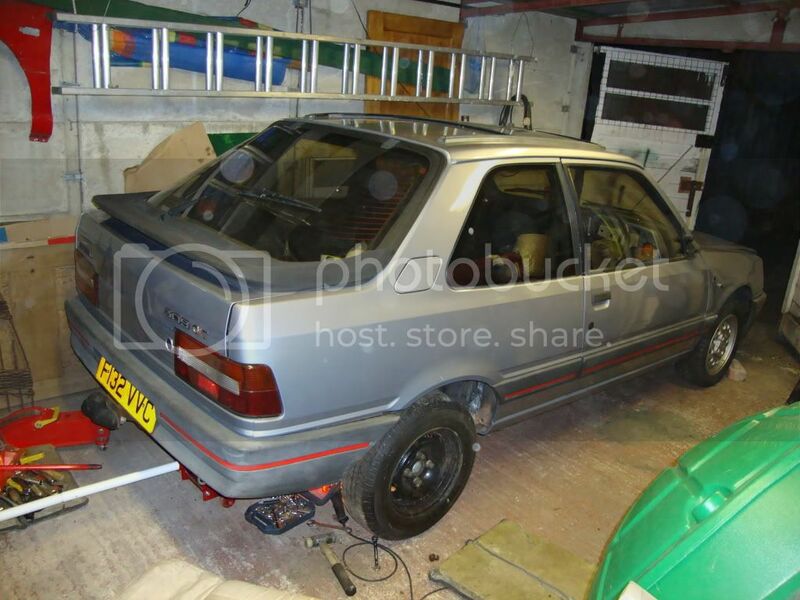 This is a long term project to turn this 309 into a replica of this 309 GTI Turbo , i hope Sander does not mind me using the photo from his post regarding the rebuild he is doing to his own genuine racecar .I am going to build it as a road car so i will not be going too mad on the suspension or engine , a GTI 6 or MI 16 will be enough .Its tempting to go for the stripped interior and cage but i want to take the kids to shows with me so a Goodwood leather interior will probably go into a standard cabin . This is going to take years so be patient , the updates on here will be small but regular . 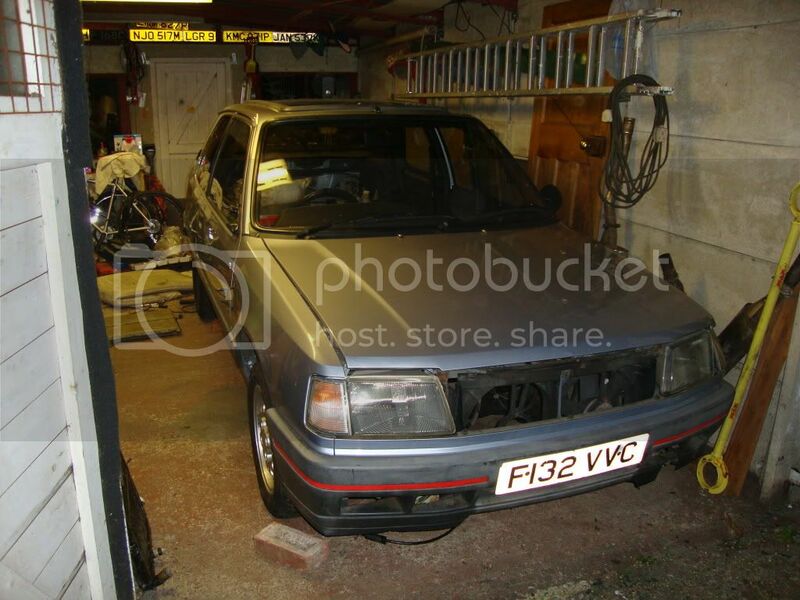 The front end and engine rebuild on the Goodwood take my attention first this winter then i will start on this . Thanks to Sander i have the details of a French company that makes the front spoiler fitted to this model , i don't think i will trust that to the postman , i will have to get a friend who speaks French to give them a call and see if they are ever in the UK . They are http://www.mcracingsa.com and make bits for many models not just Peugeot . An almost identical Speedline wheel is still available , the SL 434 is 6.75 x 15 and you can get it in white . Thanks , not seen this site before . They appear to be selling the same panels as the French site , the photos are the same . The prices are much higher , although i do not speak or read French very well so i may have misunderstood . If you ever want help tracking bits down on the net give me a shout, I'm a bit geeky and like trying to find stuff! Took delivery of another new arb bush yesterday which are NLA from Peugeot! 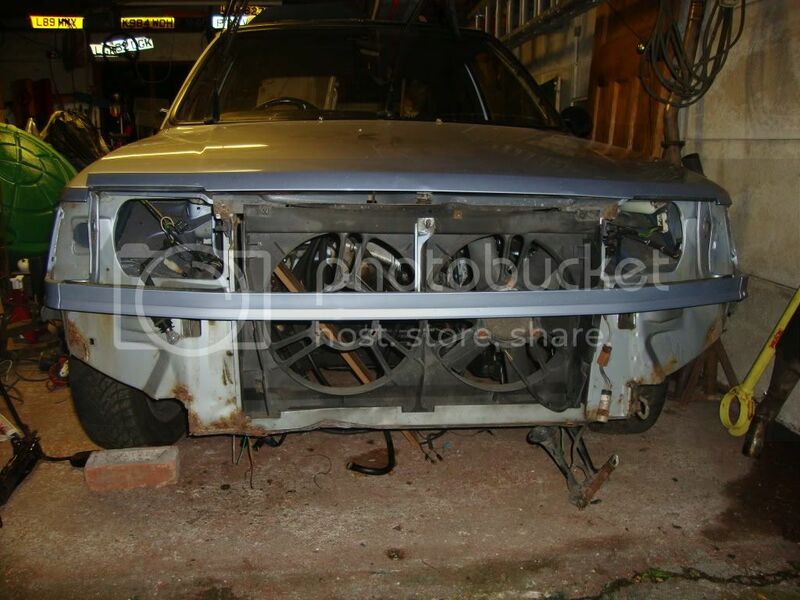 Front and rear bumpers are now off , the rear was easy and of course revealed rusted away side mounts . The front took 2 hours to undo the 8 bolts which were rusted solid .Some rust on the front panel and a dent in the crossmember but nothing terminal . i like that bumper as well,just seams strange it has indicatores in it when the indicator lamps are still on the car. got a set of those round headlights in the garage so if i fitted this i could use them.wonder what the indicator lights are off? To be honest i just assumed that they were dummy lenses or even stickers , but looking more closely at them they could be working lights . I will not be copying that feature , i may have stickers in their place to make them look the same .